Staff Sgt. Justin C. Marquez, 25, of Aberdeen, N.C., died Oct. 6 of wounds received from small-arms fire in Wardak Province, Afghanistan. 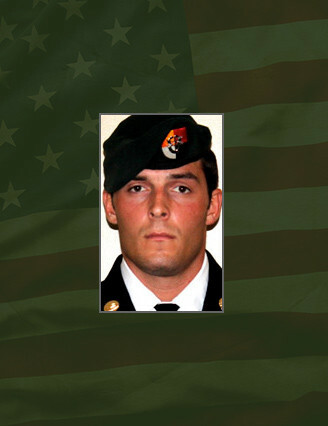 He was assigned to Company B, 1st Battalion, 3rd Special Forces Group (Airborne), Fort Bragg, N.C., and was deployed in support of Operation Enduring Freedom. This was his first deployment in support of overseas contingency operations. Marquez enlisted in the Army in January 2009, completing his initial Infantry and Airborne training in June of that year. He was then stationed at Ft. Bragg and attended the Special Forces Assessment and Selection. In February 2011, Marquez graduated from the Special Forces Qualification Course and was assigned to the 1st Bn., 3rd SFG (A). His military education includes U.S. Army Airborne School, Survival, Evasion, Resistance and Escape School, Advanced Leaders Course, and the Special Forces Qualification Course. His military awards and decorations include the Army Achievement Medal, the Army Good Conduct Medal, the National Defense Service Medal, the Global War on Terrorism Service Medal, the Afghanistan Campaign Medal, the Parachutist Badge and the Special Forces Tab.